A beautiful collection of anecdotes, poems, words of wisdom and humour on all aspects of parenthood. 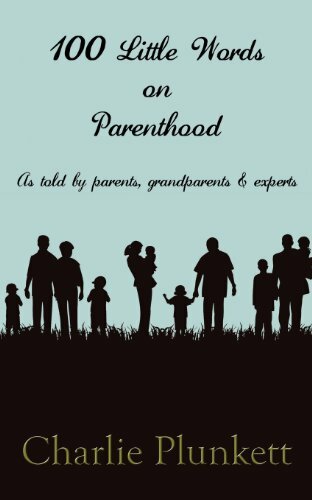 Compiled by author Charlie Plunkett with contributions from mums, dads, grandparents and experts who all share their experiences on what parenthood means to them in 100 words. From the miracle of birth and those early days of sleep deprivation, breastfeeding and teething each childhood milestone is charted. First steps, funny things children say, toddlers, tantrums, teenagers and grandchildren are all celebrated in this book that will appeal to new parents, experienced parents, grandparents and those considering becoming parents.